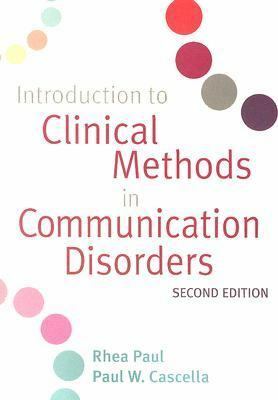 by Paul, Rhea, Cascella, Paul W.
Paul, Rhea, Cascella, Paul W.
This easy-to-read textbook provides speech-language pathologists (SLPs) with a strong foundation for clinical practice with clients of any age or disability. Covering topics mandated by ASHA, the contributors'a mix of practicing clinicians and academics'teach students how to plan valid assessments using a range of instruments; collect, record, and analyze samples of language, speech, and nonverbal communication in both children and adults; plan appropriate and individualized interventions; communicate effectively with clients, families, and medical personnel; put a variety of clinical service delivery models to work in different settings; and address relevant issues like ethical behavior, cultural and linguistic diversity, and the use of family-centered approaches in all aspects of assessment and intervention.Paul, Rhea is the author of 'Introduction to Clinical Methods in Communication Disorders', published 2006 under ISBN 9781557668790 and ISBN 1557668795. Loading marketplace prices 86 copies from $0.51 How does the rental process work?